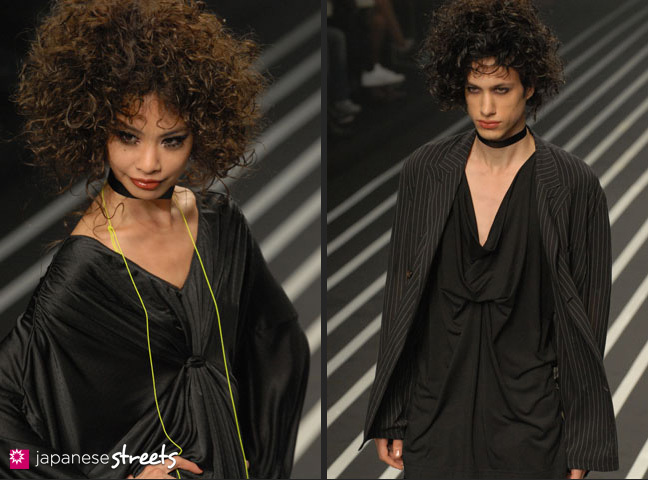 Spring/Summer 2010 Collection of Japanese fashion brand Gut’s Dynamite Cabarets on October 23, 2009, during the Japan Fashion Week in Tokyo. 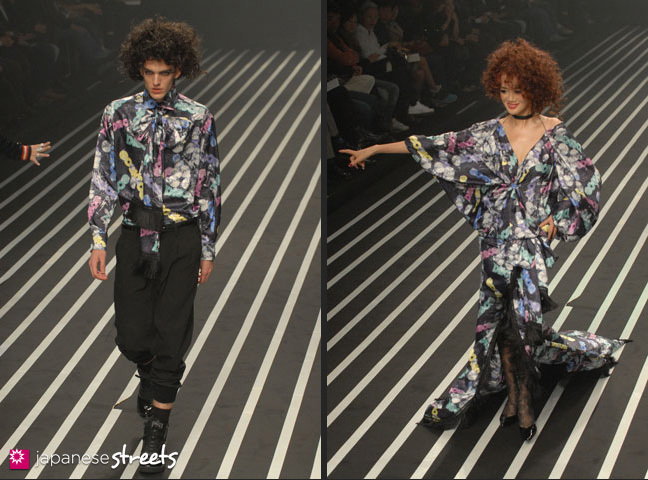 The crowd cheered when Hideka (right), a super model active in Paris during the 80s, walked onto the runway in a colorful outfit and with attitude to match. These days she is a fashion presenter. 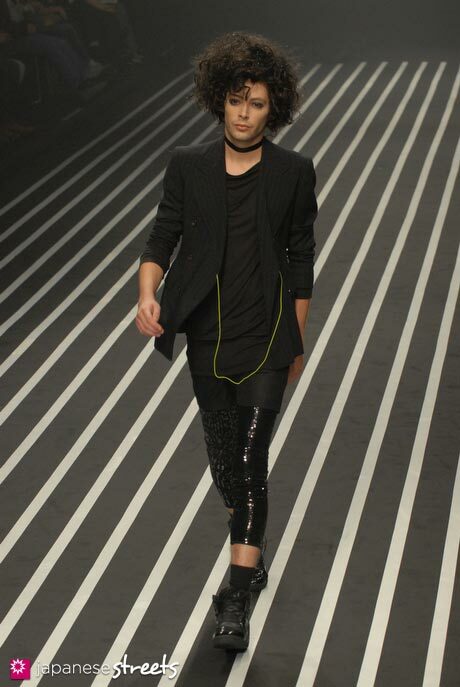 Only designers Cabaret Aki and Jackal Kuzu (both in black suits) would think of this. 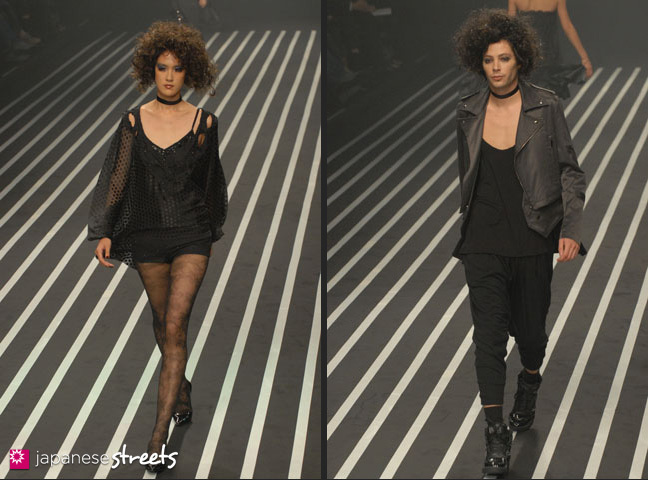 They ended their show with several minutes of wild disco dance in which all their models participated. This show was FUN!